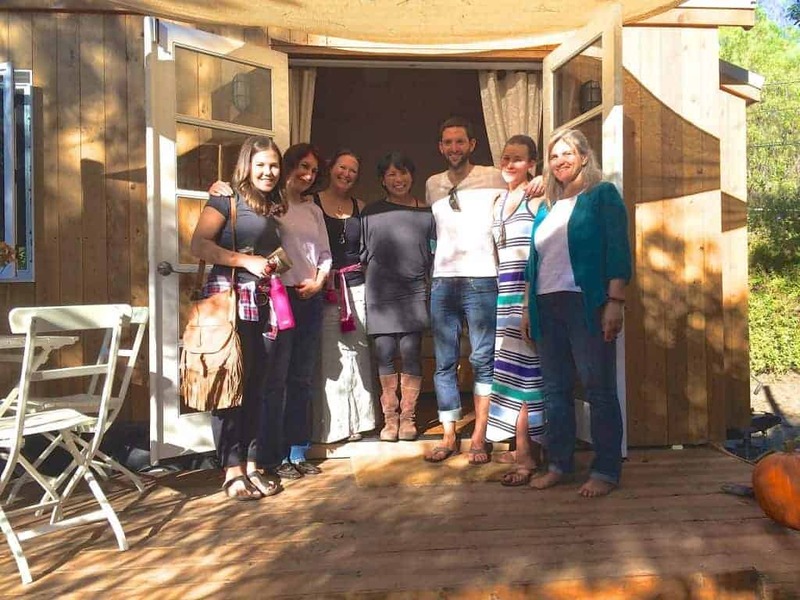 Tiny House Inspiration: Visit to Vina's tiny house in Ojai! 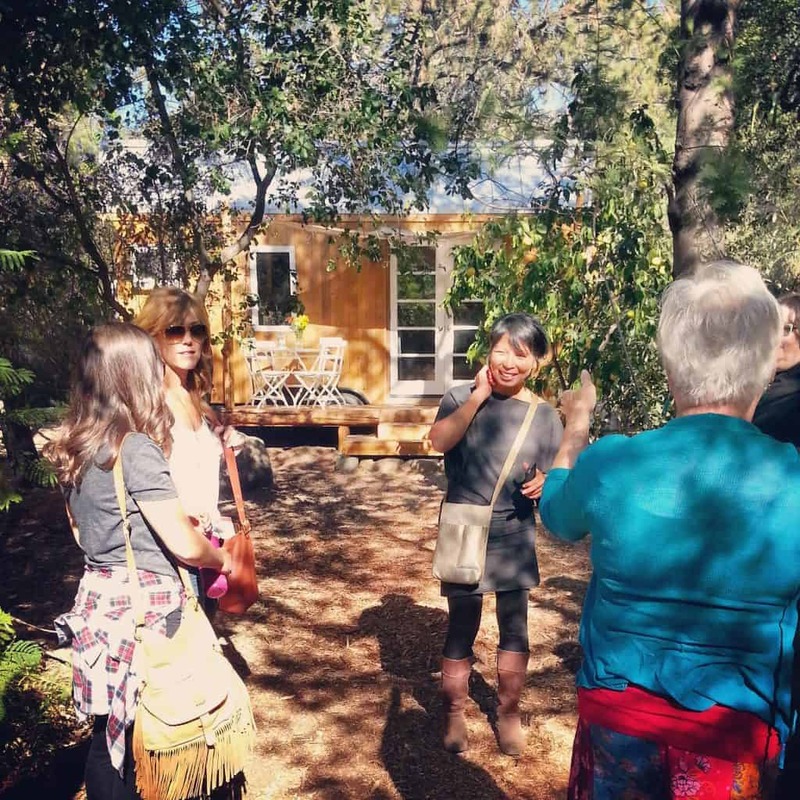 Several weeks ago I had the pleasure of touring Vina’s beautiful tiny home in Ojai, CA. Vina’s house has long been an inspiration of mine. I’ve always thought of it as quite simply the most beautiful tiny house I’d ever seen (in pictures on the internet, of course). 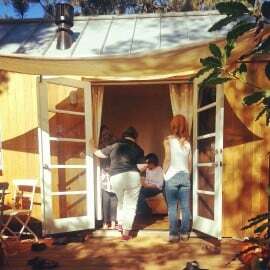 But now I can say it really is the most beautiful tiny house I’ve ever seen in person! Vina’s attention to detail and simple, clean, minimalist style sets her and her house apart from all others I’ve seen. I have to say that after seeing her house in person (finally! 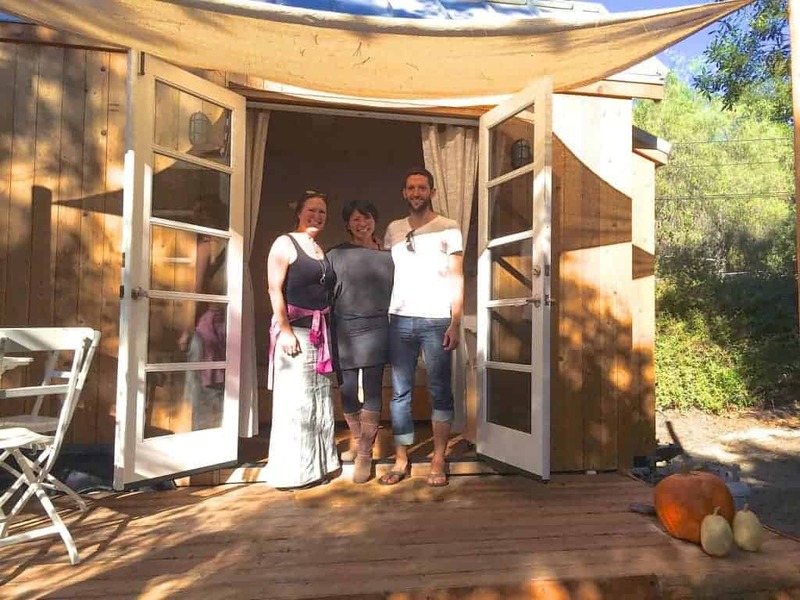 ), my impressions we’re correct, and it really is one of the prime examples of a tiny “dream home.” Like Vina, I had always wanted my home to use very nice, natural materials, and for it to feel truly comfortable, peaceful, and high-end to boot! For that reason in particular, I really resonate with her design and materials choices, and the amazing life she’s created in Ojai. Thank you Vina for inviting me to come see your home. I was honored to be a special guest at her recent “Black Friday” open house tour, and hope one day to make it back to visit her wonderful home once more. 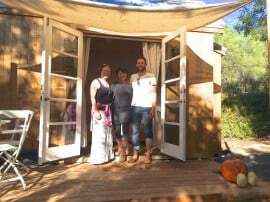 As a special treat, I was also able to connect with friend, tiny house advocate and former Sebastopol Resident, BA Norrgrad of www.abedovermyhead.com. Always good to see you, BA! 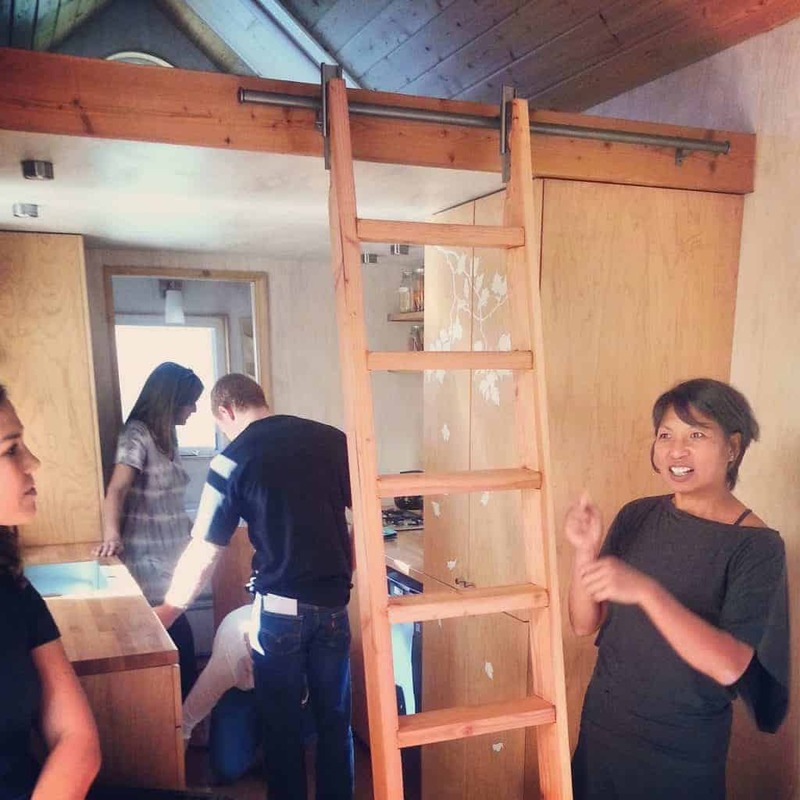 For anyone interested to learn more about Vina’s tiny house (and her company, Sol Haus Design), you can find her online at www.solhausdesign.com and one Facebook at https://www.facebook.com/solhausdesign. 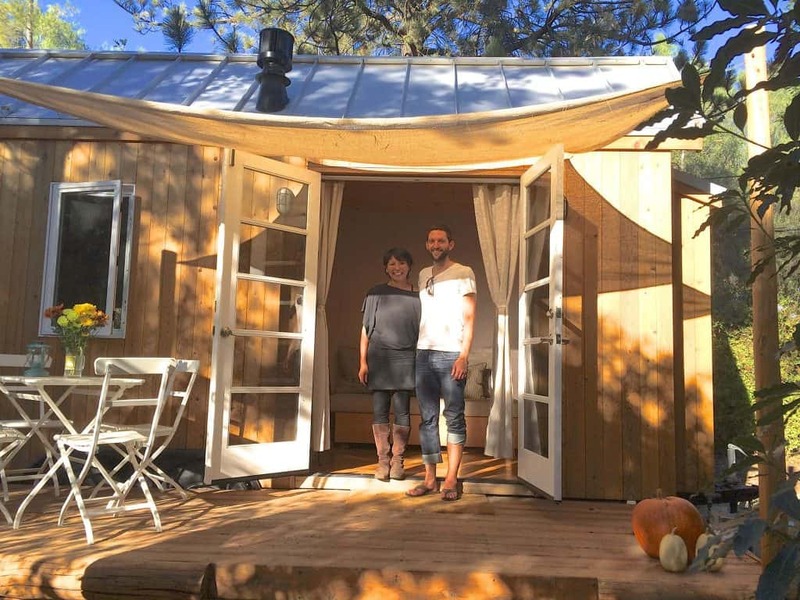 Vina also sells her one-of-a-kind tiny house plans and also offers one-on-one consultations and custom architectural design services. 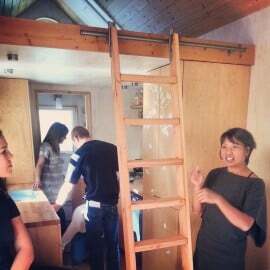 Vina’s a bright star in the tiny house world and is working hard to make tiny living possible for countless others! Hi Alek – What FUN it was to spend the day with you and to meet Anjali! 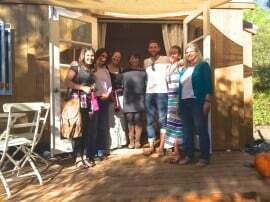 I was absolutely thrilled to have you come as my special guest, and really hope to make it north to see your beautiful home one day soon. Massive THANKS to you… Happy Holidays!! Great article – I heartily agree! I’m talking with Vina about a build workshop and dreaming of a community in Ojai! And you BA!!! My other special guest! 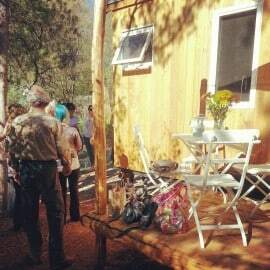 I love the tiny house community and so glad that you and Alek are both a part of it. Can’t wait to start one in Ojai!